New mom Cardi B is pulling out of Bruno Mars' arena tour. The 25-year-old rapper said in a tweet Thursday that she's not ready to leave Kulture Kiari, her daughter with Offset, to join Mars on his 24K Magic tour in the fall. "As of today I've decided I won't be joining Bruno on tour this Fall. I thought that after giving birth to my daughter that 6 weeks would be enough time for me to recover mentally and physically. I also thought that I'd be able to bring her with me on tour, but I think I underestimated this whole mommy thing." [post_ads]"Not only am I not ready physically, I'm not ready to leave my baby behind since the doctors explained it's not healthy for her to be on the road. I hope you guys understand that I have to do what's best for myself and my baby! Thank you Bruno for being so supportive and understanding." Mars will kick off a new North American leg of his tour Sept. 7 in Denver. Cardi B was to join the singer on tour from September into November. 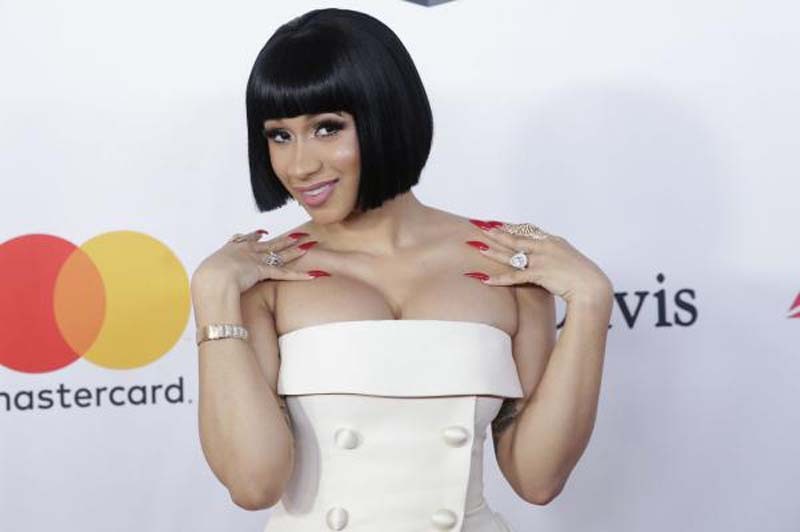 Cardi B gave birth to Kulture on July 10 after confirming her pregnancy on Saturday Night Live in April. She gushed about her baby girl in an update on Twitter this week. "Kulture is not Kulture today she Kiari with the mood. But o maaann i love my sweet sweet baby," the star wrote. "She melts me like butter." "Its beautiful how fast mother instinct kicks in ...never wanna leave my baby side," she added. Cardi B and Offset, a member of the rap group Migos, cozied up during a doctor's visit for Kulture last week. The couple confirmed in June they secretly married in September prior to their highly-publicized engagement.